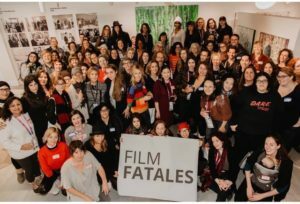 As we, the film festival industry, emphasize the importance of parity within our programming, FFA has partnered with Film Fatales, to help make more films directed by women of all backgrounds available to more film festival programmers. Together, we are excited to announce the launch of a beta phase of the Parity Pipeline, a programming initiative accessible to both FFA and Film Fatales members. This database is a tool designed to help festivals reach more historically under-represented filmmakers and more diverse content, and to allow filmmakers to reach a broader range of festivals and a wider audience. We hope that this database of films will help our members who are striving towards, or who have already pledged for, parity in programming, and eliminate some of the barriers that come with traditional festival submission. As the Parity Pipeline expands beyond the beta phase, additional projects will continue to be added to this database, to diversify both the films and the filmmakers represented. Please contact info@filmfatales.org with any questions.